CanadaSound, imagined by cleansheet communications is a national program in partnership with the JUNO Awards, CBC Music, SOCAN, ADISQ, IciMusique and the Governement of Canada. The program got Canadians to submit everyday sounds for musicians to use in their work. 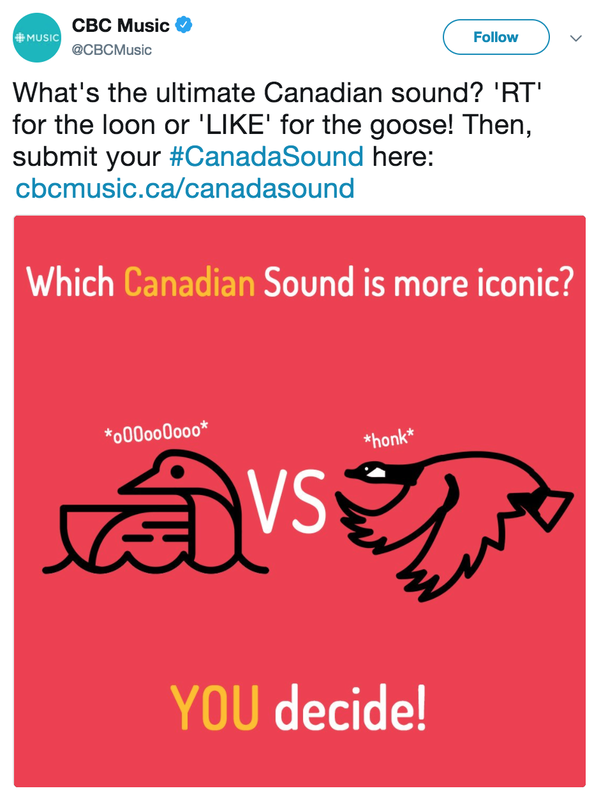 This resulted in a digital compilation and a performance on Parliament Hill for Canada's 150th Birthday. As Community Manager and Content Developper, I created video & social content, while managing the program and partner relationships.